Tenderloin Meat Juicy Burgers! This piece came about in a strange way, haha. I had just finished doing a bunch of ninja turtle pieces and then I jumped into doing some work for the Eastern Idaho State Fair. They needed me to do some food items and such. 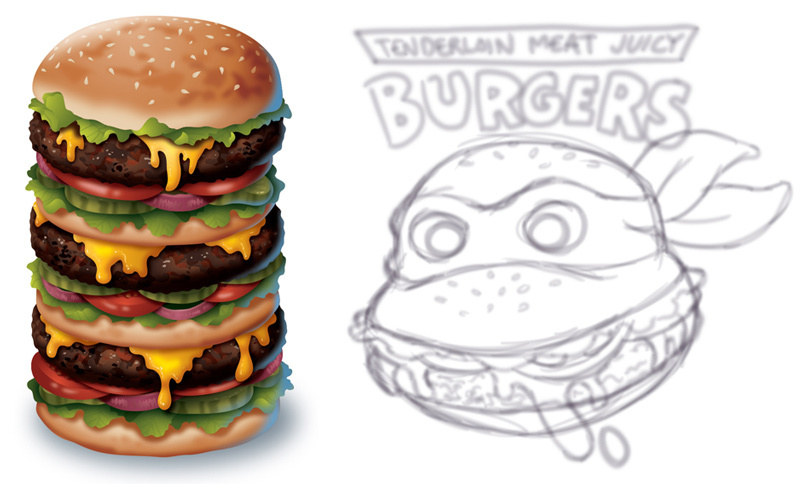 I finished drawing the giant stacked cheeseburger and then in a moment of insanity, I thought, “That hamburger kinda looks like the turtles I was just drawing. I should draw a turtle burger!” And so I did. I showed it to Nickelodeon just for fun and they loved it! They licensed it from me to use in some of their social media stuff. Sometimes it just all works out well, haha. 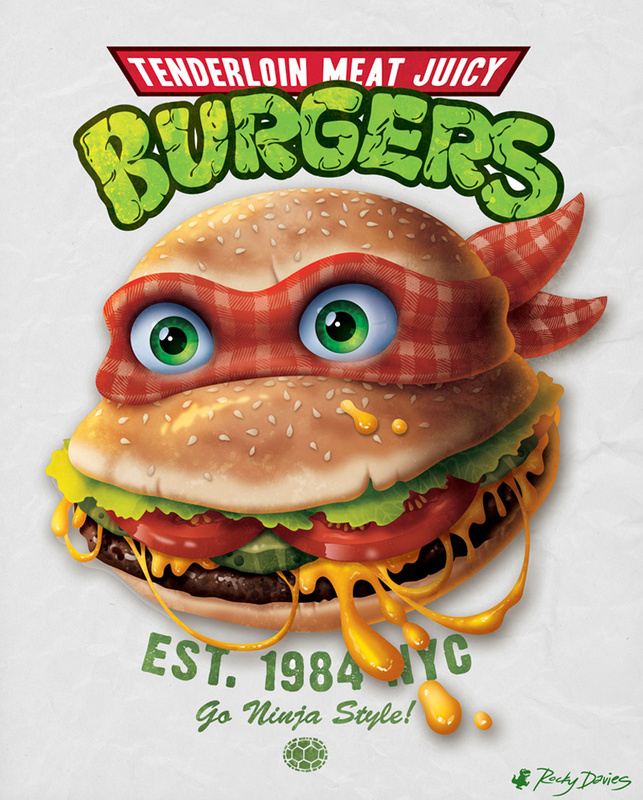 Shortly after that someone sent me a picture that they had had this turtle burger tattooed on their chest. Well, okay then. I guess Nickelodeon wasn’t the only one who loved it.